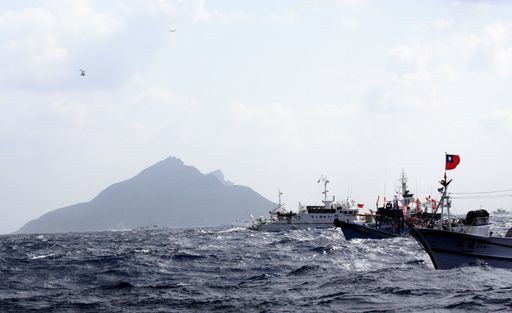 Taipei, July 24 (CNA) Presidential spokesman Chen I-hsin (陳以信)reiterated Friday that the Diaoyutai Islands belong to the Republic of China and "any denial of the sovereignty of the island group is a humiliation of the country and is unacceptable to both the people and government." Chen made the statement in response to former ROC President Lee Teng-hui's (李登輝) reported remarks a day earlier in Japan that the Diaoyutai Islands in the East China Sea belong to Japan. Meanwhile, the the Ministry of Foreign Affairs also reiterated that the Diaoyutai Islands are inherent parts of the territory of the Republic of China. From the perspectives of international law, history and geography, "it is unquestionable" that the islands are part of ROC territory and fall under the jurisdiction of Yilan County, eastern Taiwan, the ministry said in a statement. "Any remarks in opposition to the ROC government's stance on the Diaoyutais will not affect the fact that our country enjoys sovereignty over the island group," the ministry said. While reaffirming its sovereignty over the islands, the government also reiterated its principles of safeguarding sovereignty, shelving differences, seeking peace and reciprocity, and jointly exploring resources in dealing with territorial disputes in the East China Sea. Lee made the remarks in response to reporters' questions at a news conference at the Foreign Correspondents' Club of Japan, according to media reports. Lee, who served as Taiwan's president from January 1988 to May 2000, is known for his pro-Japan stance. He has repeated many times that the Diaoyutais, known in Japan as the Senkaku Islands, are part of Japanese territory.